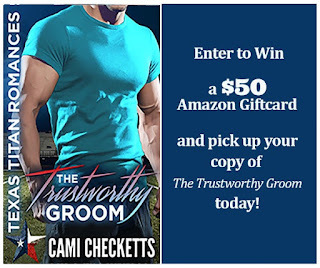 Excerpt of The Trustworthy Groom by Cami Checketts. Win a $50 Amazon Gift Card! 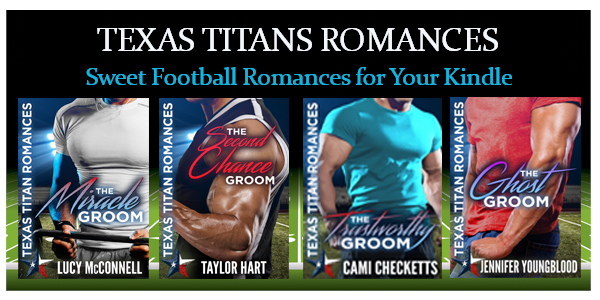 This month has been super exciting with all of the new Texas Titan Romance releases! 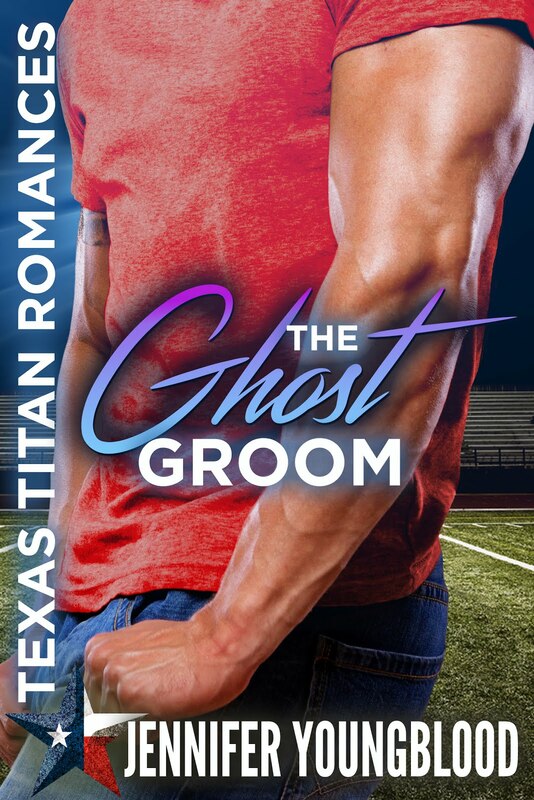 Mine book The Ghost Groom is coming out Monday, January 29th and I can't wait! I feel very blessed to be able to associate and write with such wonderful and talented conquer-the-world women. They inspire me and push me to be better! The Trustworthy Groom by Cami Checketts hit #79 overall in Amazon last week when it was released. 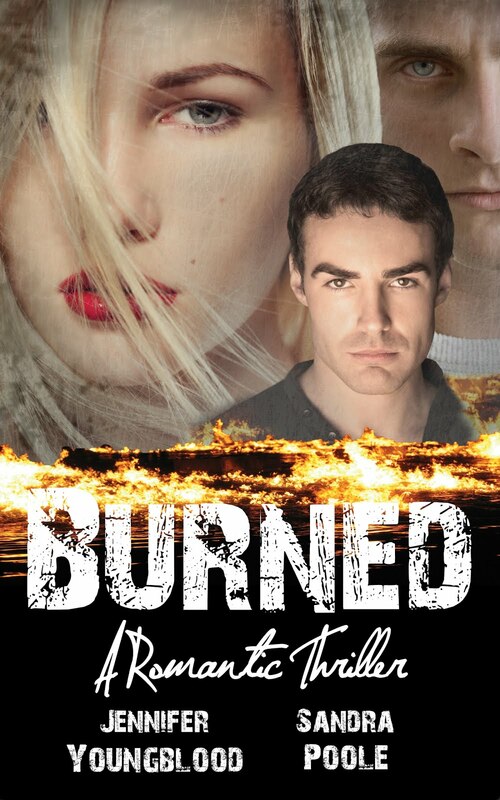 I loved this fast-paced story that pulled me in from the very first page. Cami's giving away a $50 Amazon Gift Card. No purchase necessary to enter. Details HERE. 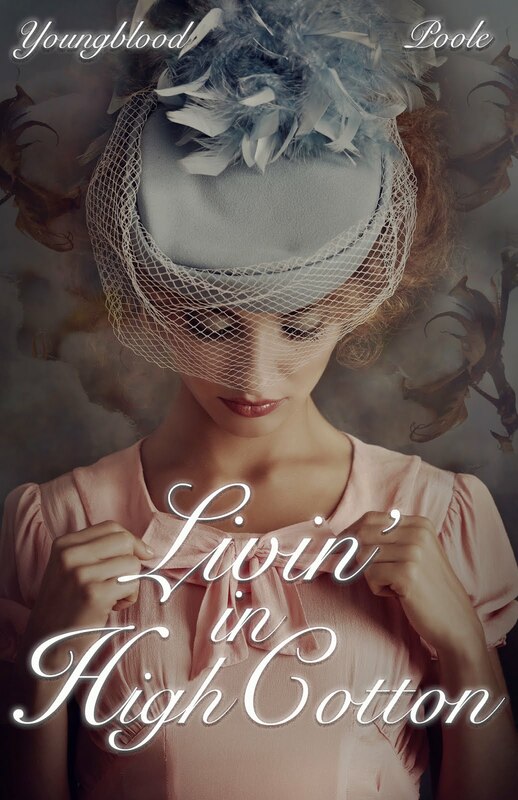 Also, Taylor Hart and I had so much fun collaborating on writing an alternate ending for Cami's book. Get your free download link HERE. 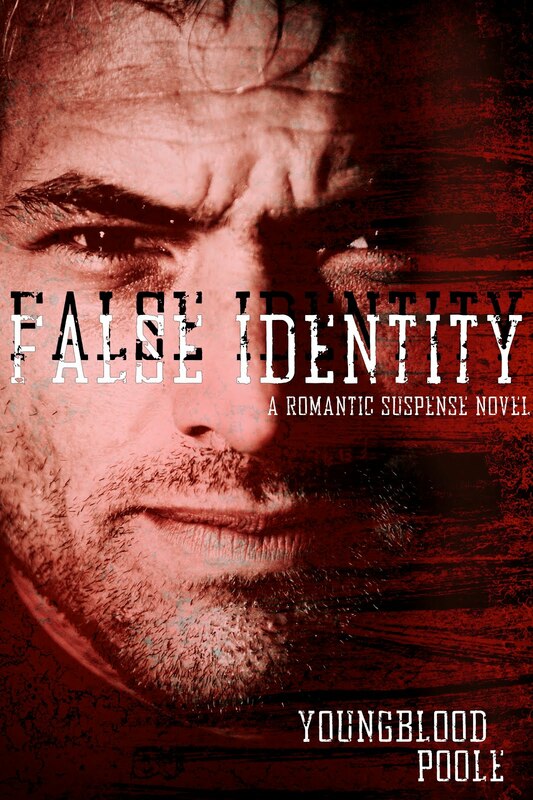 Hailey Knight has two choices: fall prey to a predator who is out to own her and destroy her football team, or marry a man she's just met. 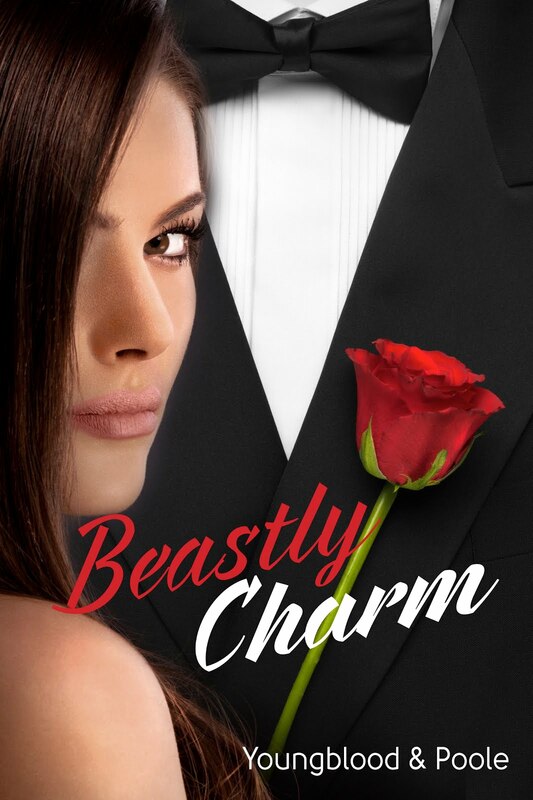 True, her fake husband can make her quiver with a touch, gets her jokes, and is patience personified, but she knows better than anyone how quickly charm can turn ugly. 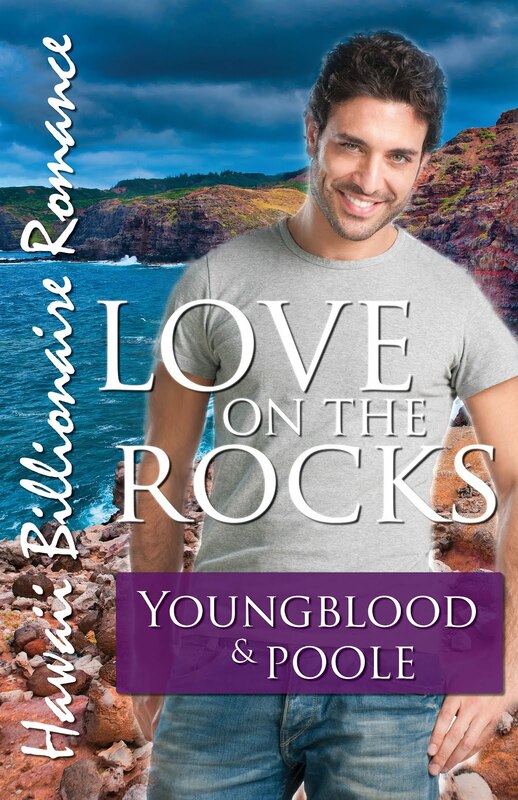 The marriage is supposed to help them both out of sticky situations, but instead turns into a media hailstorm with lies and attacks coming from all sides. 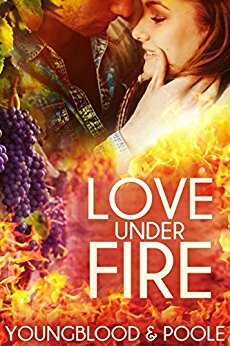 When Hailey falls in love with her fake husband and danger lurks around every corner, she knows it's time to run, but Brady has never given up on an impossible battle.